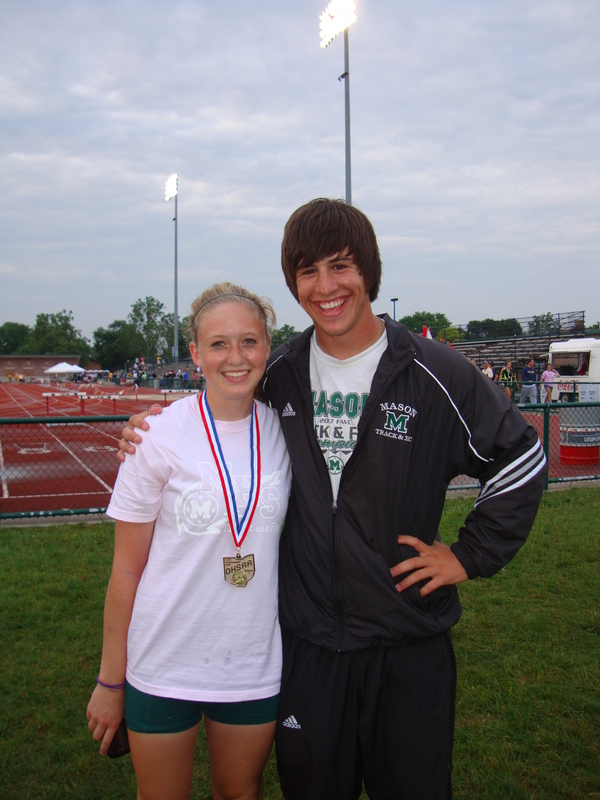 Although no Mason athlete graced the top of the podium at the 2010 Boys State Track and Field Championships in Columbus this past weekend, the stadium had a slightly green tint. 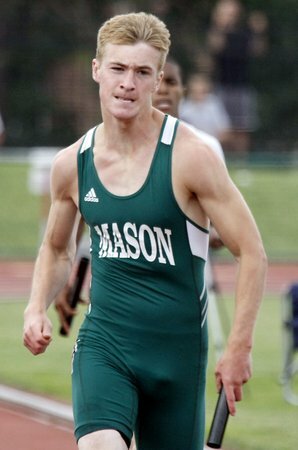 With 105 Division 1 schools and 327 athletes competing at the two-day event, Mason had the largest contingent of athletes participating (12). "It was a great accomplishment and one that will be hard to ever match again," said Mason head coach Chip Dobson. "With 5 Academic All-Ohio athletes, 9 Comets receiving All-Ohio honors and 1 State Runner up, I would say it was a good meet overall." The Comets finished 16th overall as a team at the event. The bright spots were the 4x800 relay of Chris Lehman, Matt Kahl, Tate Honaker, and Zach Wills who placed 5th, making"All Ohio" and placing on the podium, along with a sixth place finish of the 4x400 relay (Junior Mapati, Andrew Galayan-Mann, Alex Hamm and Chris Lehman). Zach Wills narrowly missed another state title placing 2nd in the 3200 meter event by less than a second in an exciting race. The 4x200 meter team of Junior Mapati, Alex Hamm, Caleb Eastham and Scott Strait placed 9th overall. Matt Mitchell was 15th in the Pole Vault, Taylor Celestin was 10th in the 110 Hurdles. Eric Hauser had a strong showing with a new personal best time to place 9th overall in the 3200 meter run. Matt Kahl also just missed the podium with a 9th place finish in the 1600. Congratulations to all the State participants and their coaches! Congrats to all the Mason athletes that competed at State. A special congratulations to OliviaBergesen for jumping her heart out at the meet and ending up at the top of the podium! Video of her winning pole vault us below! "It was an outstanding accomplishment as Olivia joins the likes of former state champions such as Angela Bizzarri and LeAuna Sistrunk," said Mason girl's head coach Tony Affatato. "She trained hard all season, is an extremely humble athlete, with an exceptional work ethic and determination to be successful. We are so proud of her and how she represented Mason Track & Field!" This was Olivia's second time this year to compete in a interscholastic state championship. Bergesen was also a gymnastic's state qualifier in the vault. Monica Lake, Jessica Harrison, Brenna Hallum, and Chelsea Vanhook finished 9th. Kera Lamotte, Brittany Betts, Sarah Hunter, and Tiwa Akomolede finished 5th. Brittany Betts was 15th overall in her event. Sarah Hunter wass 14th overall in her event in the long jump. Jessica Harrison was 13th overall in the 2 mile. It took another school record to give the 4x800 Comets the edge they needed to make it to the podium in the 2010 Ohio State Track & Field meet. The team consisting of Chris Lehman, Tate Honaker, Matt Kahl, and Zach Wills ran to a 5th place finish in the race. Wadsworth the winner placed first breaking the state record in the process. If you would like to come out and help support the Comets, there will be pole vaulting, high jumping and the relay finals along with individual runs for the Comets this afternoon. Look for the green Mason shirts in the section east of the finish line for a group of Mason parents and join the efforts to support our athletes for all of their hard work.